My sense is that the attention that most Americans are paying as the power brokers of our government re-mold our future is not too deep. Sure, we're watching to see which Wall Street firm emerges as the basket case du jour. And the 50 percent or so of us who own stocks in some form are paying attention to the impact that each major announcement has on the market and on our nest eggs. But beyond this, it's like watching the mechanic play around under the hood of your car. You stand by with your fingers crossed hoping that he knows what he's doing and that the price tag of the damage won't ruin you. What's bothering me today, and what I think should bother you, is not only don't we understand exactly what these guys are doing as they play with our economic engine, but few are asking what authority they have to be playing around in there in the first place. 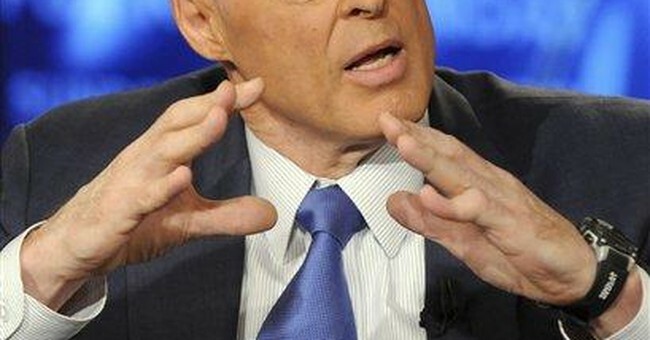 Talking about Secretary of the Treasury Henry Paulson, the Wall Street Journal reports "Today he finds himself in a position of power unmatched by his predecessors. He decides whether Wall Street firms live or die, picking winners and losers with the power of the federal purse." Somehow the idea of our Treasury Secretary sitting like a Roman emperor, giving a thumbs up or down whether firm A or firm B will live or die, just doesn't wash with the basic principles of how I believe this country is supposed to work. The "power of the federal purse" is a nice abstract way of saying there is open season on citizens and taxpayers. We are the federal purse. Somehow we have gotten to the point where we citizens have been written out of the equation of our own country and Constitution. Paulson can decide to commit billions of our money -- you know, what we work for every day, save, and assume we own -- to play lifeguard and we don't even get a courtesy call asking if its okay. So I ask, is this the disease pretending to be the cure? There is, of course, a lot of discussion about the causes of today's financial turmoil. It may be politically expedient to blame greedy Wall Street executives. And I have no doubt there's plenty of greed on Wall Street (or in Hollywood or elsewhere for that matter). But as unattractive as greedy behavior may be, greed is not illegal. I have not heard a single announcement about any Wall Street executive being indicted or about any law being broken. But somehow it is legal and constitutional in America today, our dear country that supposedly has a Constitution that protects citizens and private property, for our private wealth and incomes to be used by politicians as collateral for their social engineering. As we taxpayers get dragged up to the plate to bail out one firm or another, let's recall that major culprits in all of this were the two massive Government Sponsored Enterprises, Fannie Mae and Freddie Mac. Dressed in drag as private firms, they wheeled and dealed, getting involved in some way in one of every two mortgages, with us taxpayers behind the scenes guaranteeing their excesses. Did we learn anything from the failures of Fannie Mae and Freddie Mac? Did we learn that taxpayer guarantees for business is a formula for failure? How can we say we learned anything if this is exactly what we are doing now to deal with the problems that this very behavior caused to begin with? In a nice column in the New York Times the other day, David Leonhardt recalls the bailout of Chrysler in 1979. This was supposedly a success. And where is Chrysler today? And the whole American auto industry? Eclipsed by the Japanese and looking for another bailout. Today's financial crisis is not the worst problem we have. America has survived many crises, some far, far worse than this. Our most serious problem is a loss of focus on American principles of freedom and limited constitutional government. It's a sign of our troubled times that there appears to be no leader -- political or business -- who even pays lip service to this.